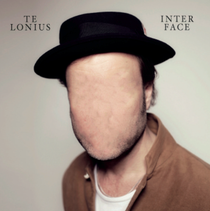 German producer and DJ Jonas Imbery aka Telonius is to release his debut album, ‘Inter face’, on his own Gomma label on August 30. In 1999, Imbery founded the Gomma label with his partner Mathias ‘Munk’ Modica, creating a musical platform of artists such as Esperanza, Justin Robertson aka The Deadstock 33, WhoMadeWho, Moullinex, The Phenomenal Handclap Band, Mercury and Dimitri from Paris. Under his Telonius moniker, his music is brimming with funk influences that were already a hallmark of his producing techniques in previous productions. There’s a hint of disco in these arrangements, here and there strings and horns surface for a brief sojourn, and always there are strong basslines all over the place. Vocal contributions come from friends and colleagues from Munich, Berlin, New York and Amsterdam (such as Faberyayo of Dutch band Le Le, led by graphic artist Parra). ‘Inter Face’ is a collection of ten tracks and many surprising musical elements, ranging from house to disco to techno to funk and some new wave with a penchant for analogue instruments and organic sounds. Telonius takes these elements and creates an atmospheric mix, a collage of house tracks that never sound banal and have plenty of emotion in them.